We love to spotlight our Certified Diamond Dealer partners and some reasons why you need to visit their stores. In my role with Upper Deck, I try not to play favorites with regard to habby shop owners, but it is hard at times. Some shop owners have become really great friends over the years and others are just very inspirational business people. Parvez Balsara is both to me. 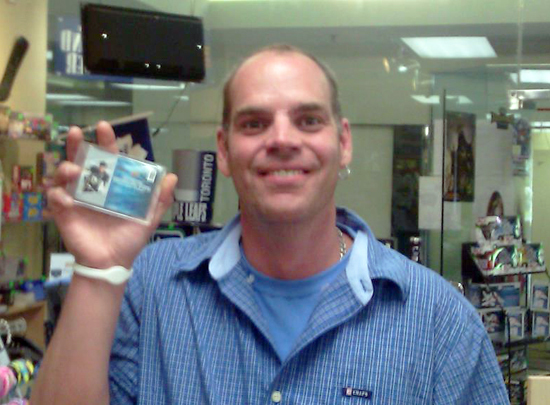 He is the owner of Untouchables Sports Cards & Gaming in Mississauga, Ontario and I am a really big fan of his. He’s a good friend and a great business man, but most of all he’s just a really good guy who looks out for his customers. 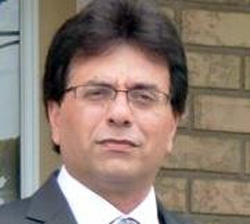 Parvez is a shop owner dedicated to making sure his customers are well taken care of. I recently attended the Spring Sports Cards and Collectibles Expo in Toronto and Parvez must have come up to me no less than five times during the show with a customer in tow asking me to help out with a variety of situations. I can’t think of many other dealers who would stop what they were doing at a busy show, leave their booth, find a resource to help their customer and then stay with them until it was resolved. And when situations come up where we can’t help, I know Parvez always does something himself to make the customer feel good. He is successful because he will do just about anything to make sure his customers are happy and well taken care of. This is his story. Hours: Mon–Fri: 10:00 a.m. – 9:00 p.m., Sat: 10:00 a.m. – 6:00 p.m., Sun: 11:00 a.m. – 5:00 p.m.
“Untouchables has been a staple in Mississauga, Ontario for the last 23 years and is home to a great group of collectors who are passionate about the hobby. We started off as a very small hobby shop in a corner location of a mall, but through hard work we have grown our business and the size of the store as well. We now have a 2,500 square-foot superstore dedicated to sports collectibles and gaming. It has been an amazing evolution over the years and I am so thankful to our loyal customers for helping us to continue to grow. Pulling big hits is par for the course at Untouchables. Here one lucky collector shows off his Malkin/Crosby dual patch card from Upper Deck Ultimate Collection. “There are always ups and downs in the economy and in this industry as well, but we have found that the best way to keep the store successful is to keep things fun for our customers. 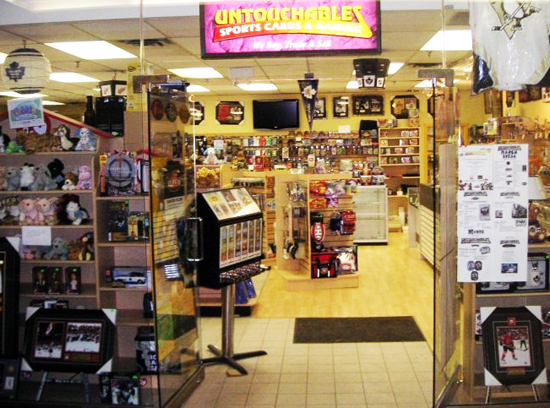 Untouchables is a place where collectors of all ages can come hang out, talk, trade, watch sports and unwind. To thanks fans for their support, we have sponsored several athlete signings over the years including one sponsored by Upper Deck where we brought in Tony Esposito. Memories like meeting your favorite athletes in your own neighborhood stay with you forever and we love sharing those experiences with our customers. Parvez loves to give back to his customers. Here he awarded one happy collector with a limited edition Sidney Crosby autograph card as part of a customer appreciation promotion. “Another way to make visits to Untouchables memorable for our customers is by running a variety of promotions all year round. We recently started a promotion that gives everybody a shot at a great prize like an Upper Deck Sidney Crosby Las Vegas Industry Summit autograph card numbered to 20! We believe strongly that if we give back to our customers and keep them happy, they will be back. Having been in the business for over twenty years, that philosophy has proven to be very successful for us here at Untouchables. Gamers LOVE Untouchables as they have a huge space set aside for tournaments. “Our events room can seat over 70 people comfortably. When not being used for tournaments, we encourage customers to unwind and relax here while opening packs. We also host events like ‘The Sports Card Trade Night’ for every hockey card release. Puck collectors can check out the latest releases and trade with others to get a head start on putting their sets together. Gamers love Untouchables as well as we have tournaments almost every day of the week for trading card game players. 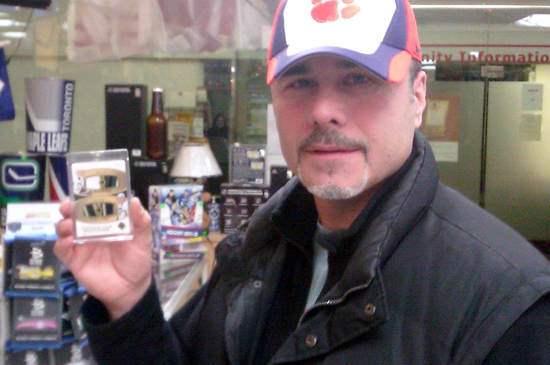 Sports collectors also love the tournament space, especially when they open high-end products like Upper Deck's The Cup. There's plenty of room to check out the breaks. Parvez works with his wife Anita and I really encourage you to visit their shop. They will treat you like one of the family and you’ll feel at home right when you walk through the doors. If you’ve been, share your experience in the comment section below! Very True, this guys are the best, they are always ready to go up and beyond to help you out. You always feel at home when you are there. Good Luck Parvez and Anita.